The bed and breakfast is located in the heart of the city centre. Bars and restaurants are as close as 50m away, all of the city's sights, museums, restaurants, bars etc are a walkable distance. The houses is inside Chester's city walls, which are roughly 50m away from the front door. It is just less than 3km to complete the walls back to the house. Ensure you enjoy the shopping and the unusual sight of The Rows. Completely unique to Chester historians are unsure as to why they were built in this way. How grateful we are they were as they give shopping in Chester a unique character and are visually beautiful. Take a wander down to the river Dee the ancient hub of the city. 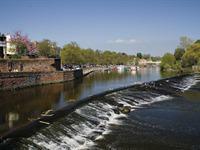 The Dee is what originally brought the Romans to Deva (Chester). It is a worthwhile walk down, you can feed the ducks, hire a rowing boat or pedalo or take a cruise down the river. Finish off with a drink in the boathouse or some wings and a beer in Hickory's! 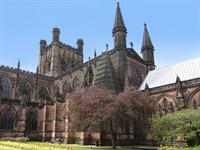 Chester Cathedral is a must see when you come to Chester. The Cathedral does tours up to the bell tower in the summer and you get amazing views over the city. They also have falconry displays in the grounds. 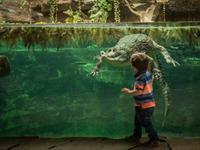 Chester Zoo (not that we are biased or anything!) is the best zoo in the country. The zoo's original owner wanted a zoo which felt without bars and this concept is still upheld today. The zoo is a wonderful day out with all major animals to see. A must do on your trip to Chester. 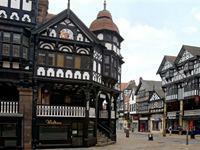 Take a trip around Chester either on an open top bus or on a historical bus. 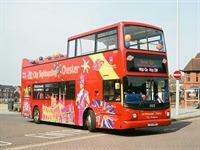 See Chester's sights from the comfort of an open top bus. This can be combined with a river cruise. 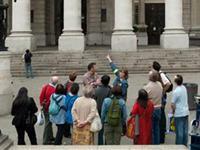 Daily guided walking tours at 10.30 and 2pm (April to October). A guide will take you through 2000 years of history showing you the best of the historical sights of the city. Adults £7, concessions £6. The tour takes around 90 minutes and departs from the Town Hall Visitor Information Centre. 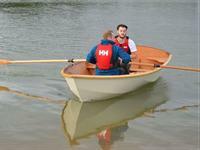 Hire a rowing boat or pedalo on the Dee and spend an afternoon enjoying the sun and sights of the river.